Confused about thread counts? Don’t lose sleep over it. All pics sourced from Au Lit Fine Linens. type of cotton. Egyptian cotton is still considered to be the best in the world, because of the strength and long, strong fibres. where it’s woven. Italian mills have a long, illustrious history of weaving and of using superior technology. But other players, such as Portugal and Turkey are also making good product. how it’s woven Percale, for example, is a criss cross weave (one-over, one-under) and tends to be crisp and cool. Cotton satin uses a different weave that produces more sheen and a silkier feel. 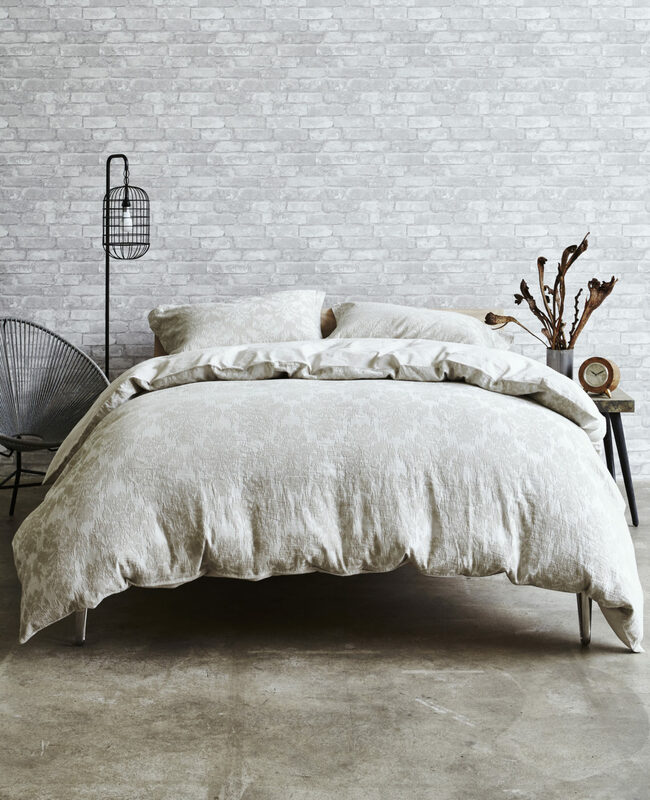 TIP: Always take bed linen out of the package and touch it before buying. Do you like the way it feels? Many love linen sheets, which are made from a natural fibre derived from the flax plant. The slightly textured hand gets softer and more drapey over time. Does it be ironed? Not here around the house it doesn’t: I like its slightly rumpled look, even on a duvet cover. Hypoallergenic silk is cool in summer and warm in winter, but some find it too slippery. Silk pillowcases, though, are reputed to be good for the complexion. Sheets made from bamboo fibres can also be extremely soft and silky, and are supposed to keep you extra cool in hot weather. You’ll also start seeing bed linens made with Tencel – a synthetic material of cellulose fibre made from renewable Eucalyptus. Because the fibre can absorb water, it’s supposed to be soft, breathable, and less susceptible to wrinkles. Look for these at Merchant and Sons. They sent me some sheets, which I think have a lovely weight and weave. We also like their large bath towels – made in Turkey from combed 100 per cent cotton. What about pillows, you ask? 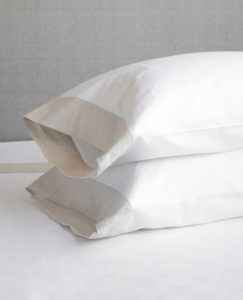 I direct you to two excellent videos from to Joanna Goodman, co-founder and owner of Au Lit Fine Linens for a great explanation of why it pays to invest in high quality pillows, and how and where you can get away with inexpensive options. Pics courtesy of Au Lit Fine Linens.